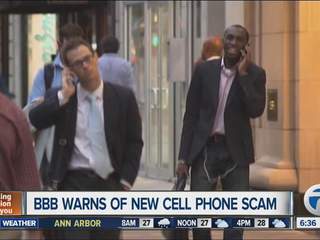 A new round of spam cell phone calls are making their way around Chicago offering free gifts or claiming bank account emergencies. The calls appear on caller IDs with a string of zeros with a recorded voice on the other end of the line, hoping someone takes the bait and answers. The recording asks the caller to press a number in order to be transferred to the security department. The Better Business Bureau says scams like this are common. According to some of the recipients who have received the calls, many of the callers are claiming to represent Chase Bank. Chase advises customers to tell a purported caller from a bank or credit card company that you’ll call them back, and to call the number on your card or your bank’s telephone banking center. The same is true for emails and text messages. Keep in mind that your bank will never ask for your credit card number over the phone.